A True Story: One of the partners in SeBern Custom Homes was in downtown Chicago for a meeting a week ago. He drove in the rush hour, on a clogged expressway, and parked a in a lot located one block from the meeting. The trip took him one hour and thirty minutes, one-way, and two hours of parking cost over $30 with tip. The person he met lived in Kenosha, Wisconsin. Her trip that morning into the loop took a full 2 hours. The meeting lasted 20 minutes. Between the SeBern partner (3 hours round trip) and the person he was meeting (4 hours round trip), the 20-minute meeting consumed over 7 hours of a busy workday. A conference call from a home office would have replaced all this. Simply, in 2015, living in northern Illinois, it is crazy NOT to have a home office. And here is another thought: if you have a home office, it may qualify as a tax deduction. Ask your CPA. 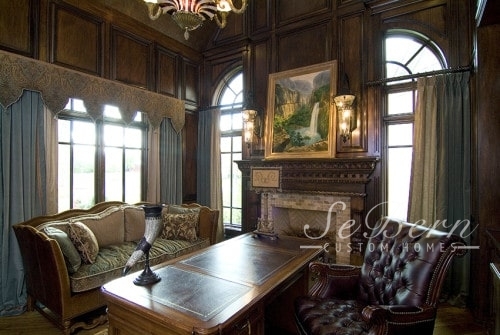 Please permit us to offer some home office ideas – SeBern has a little experience at this! Your home office should be comfortable, but you cannot allow yourself be so comfortable that you lose focus. Multiple monitors are often needed, but just say, “No “ to a TV and, “No” refrigerator in the room! Always encourage productivity. Don’t allow friends and family to distract you. Set strict hours for work and make the office off-limits during those times. Set daily goals and stick to them. Use the fastest Internet connections/wireless hub, the biggest bandwidth, the latest computers, the best printer and photocopy machine, to keep yourself productive. Consider a dedicated phone system. Will you be video conferencing? Will you have frequent visits from clients or vendors? These all are a part of the planning, the workflow, the traffic flow, and the room design. Insure all that extensive, expensive equipment. And backup your storage. Arrange for a great, fast computer support team in case anything breaks, freezes or is attacked by a virus. Set up the room so that you can relax and become creative. Think soft light and wood grains or warm colors. Ensure that you have plenty of paper storage. Don’t let your desk and space become cluttered. And manage those wires – don’t let them take over the room. Full spectrum lighting is essential. Try to include natural window light, but watch out for glare on your monitor. Face your computer away from potential glare. If you need a desk lamp, try to find one that simulates natural light. Light bulbs often give off a yellow light that badly changes the way you will see color. Blue fluorescent lighting is better. Talk to a lighting expert. Whenever possible, try to stand while you work. This is much healthier than sitting in a chair all day. Monitor surface stands that sit on your desk but can be raised or lowered are now available and reasonably priced. If you buy one, be sure it rises and lowers to the right height for you. You might want some sort of white noise, to drown out household noises. Color is important for your productivity and creativity. While many computer desk surfaces are glass, wood still tends to be favored. Wood surfaces give a warm, natural feeling. Whatever you do, allow for plenty of surface space, so you can spread out. Bookshelves are great for reference storage, but also for setting the right tone. If you feel important, intelligent and educated, you will tend to perform better. Besides wood, soft greens are good colors. Blue tends to be cold; soft yellow is energetic, but bright yellow is shocking. Red is exciting and OK to offset beige or tan, but all red is often too distracting. 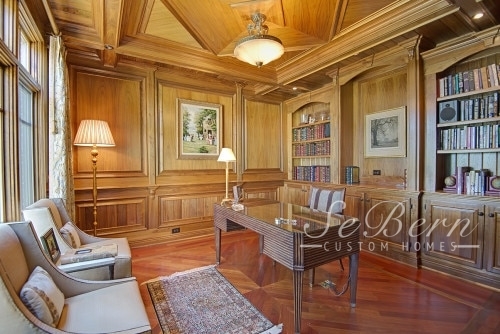 Wood paneling tends to enhance traditional home offices. It can complement natural woodworking details throughout the home. 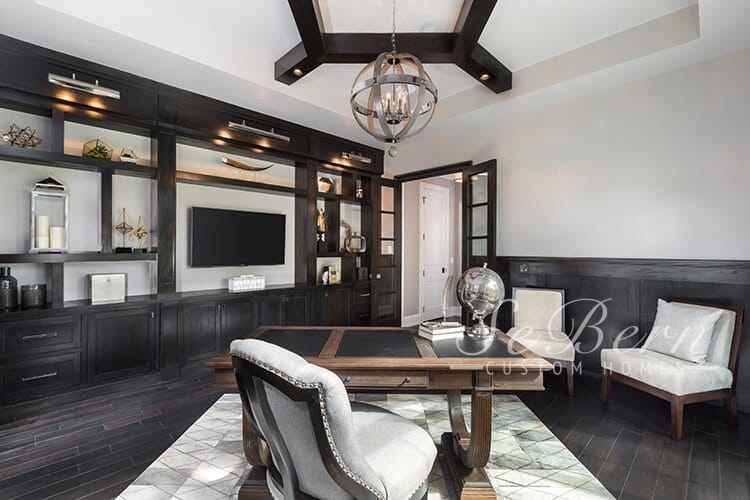 Whatever colors, furniture, accessories, and equipment you choose for your home office, whatever shape you design the room, and whichever direction you place the windows, make sure your office is a reflection of your spirit and creativity, and that it enhances your overall productivity. Be comfortable, proud and assertive in your home office. 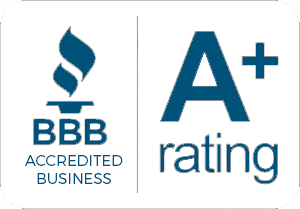 SeBern experts can help – call us at 630-377-7767 for your free appointment.